A very, very special person. He had amazing middos and learned all the time. You couldn't catch him speaking lashon hara or involved in any sort of machlokes. Kiss Mezuza when entering or leaving a room in merit of the Niftarim of this cause. Wash and eat the Melave Malka meal on Motzoy Shabbos, in merit of the Niftarim of this Cause. Sing one of the Zemiros on Shabbos or Motzei Shabbos? in merit of the Niftaim of this Cause. Say Amen Yehei Shmei Rabba during Kadish with all your might in merit of a Niftar of this Cause. 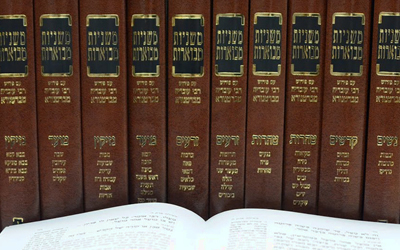 Study or review two Halachos from Shulchan Aruch or other Halacha Sefer. Be one of the first 10 men at a Minayan in merit of a Niftar of this Cause. Thank Hashem for ten good things in your life, in merit of the Niftarim of this Cause. Lend an object to a friend or a neighbor in merit of the Niftarim of this cause. Share something you have with others in merit of the Niftarim of this Cause. Study any Torah for 30 min, in merit of the Niftarim of this Casue. 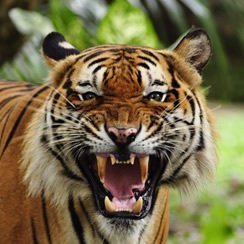 Stop yourself from getting angry, in merit of the Niftarim of this Cause. Study at least one a Halacha related to Shabbos in merit of the Niftarim of this cause. Actually physically attending and listening to a Shiur. Kiss the Sefer Torah as it is brought to or from the Bima in merit of the Niftarim of this Cause. Say one paragraph of the Teffila with as much concentration as you can, in merit of a Niftar of this Cause. Wear a Kipa on your head in a situation where normally you would not have, in merit of the Niftarim of this Cause. Say over a Divar Torah at a meal in merit of the Niftarim of this Cause. Dance, Rejoice or do something to make a Chasson or Kallah happy in merit of the Niftarim of this Cause. Sponsor food or drink after a Minyan or Shiur where you know everyone will make Berachos in merit of the Niftarim of this Cause. Do at least 30 min of free baby sitting or help to a needy family, in merit of the Niftarim of this Cause. Help a senior or disabled individual for at least 20 min, in merit of the Niftarim of this Cause. Light Shabbos candles in merit of this cause. Recite Birchas Hamazon with Kavana in merit of the Niftarim of this Cause. 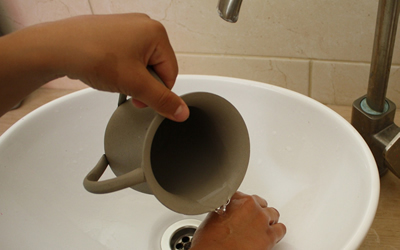 Wash hands fully with an appropriate amount of water. Eat an appropriate amount of bread in the appropriate amount of time. Say Birchat Hamozon from a Siddur or Bencher slowly, with joy. Recite the entire Book of Tehilim for each victim of this cause. Recite the entire Book of Tehilim from start to finish for each victim of this cause. Take a Tehilim, have in mind that you are going to recite the entire Book of Tehilim in merit of the victims of your selected cause and then recite it starting from chapter one until chapter 150. It is great if you can recite the entire Book of Tehlim in one shot without any breaks but you do not have to. It is fine to break it up over time into multiple sessions. 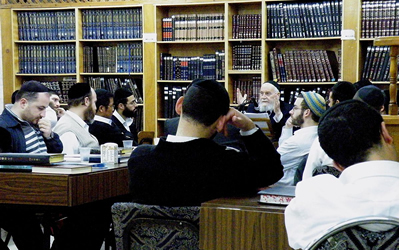 Giving a shiur to at least 3 people. Study that days Daf by yourself, attend a shiur or listen to a recording. 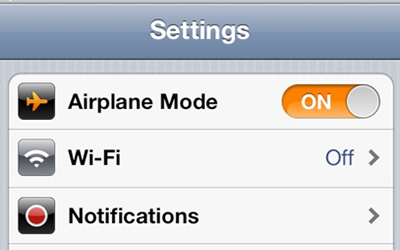 Turn your phone off or on airplane mode for a session of Torah study, shiur or Minyan. Do an hour of Hisbodedus in merit of the Niftarim of this cause. Put on Teffilin this day even if it is hard for you, in merit of the Niftarim of this Cause. 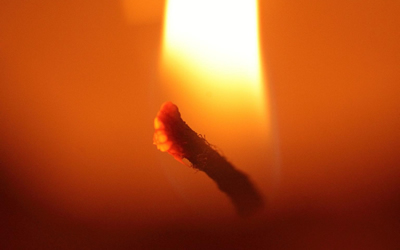 Focus on the words of a Kaddish and respond each Amen properly, in merit of a Niftar of this cause. Say the Truth in a case where you tempted to lie, in merit of the Niftarim of this Cause. Study any Mussar related Sefer for at least 15 min, in merit of a Niftar of this Cause. Donate a Sefer to a Shul or any other publicly accessible location in merit of a Niftar from this Cause. Visit a sick person and help him out or make him feel good in merit of a Niftar of this Cause. Forgive someone who did something wrong to you, in merit of the Niftarim of this Cause. Dress and act Tznius in merit of the Niftarim of this Cause. Recite the Kadish in a Minyan in merit of the Niftarim of this Cause. Naftali’s sister, Malkie, lives in the neighborhood. Her two year old daughter, Miriam, received a deep gash on the palm of her hand. Hatzalah bandaged Miriam and inquired if Malkie had anyone that could drive her to the hospital. She tried calling her father but he didn’t answer, so the Hatzala men took them in their ambulance. On the way a new emergency call came in. 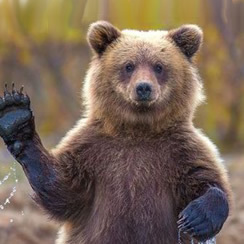 They asked Malkie if she would mind if they stopped to offer a helping hand as they were literally passing right by. They apologized and said that they really never combine two calls. Of course she agreed as her situation was under control. Malkie’s compassion was greatly stirred for the person hurt in this accident and she immediately said tehilim with all her heart, not knowing she was davening for her own brother!! 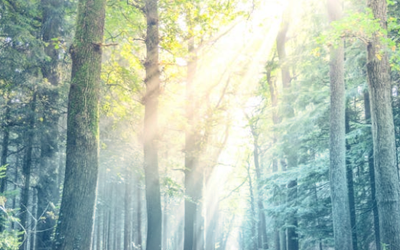 Hashem in his wondrous ways made a blatant miracle for such a righteous person and arranged to have his dear sister brought right to him in order to say tehillim for him with tremendous intensity as his soul ascended to the world of truth. 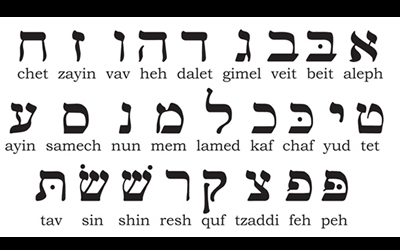 “Naftulai Elkim Niftalti im achosi,” Naftali is a lashon of tefilla & connection. 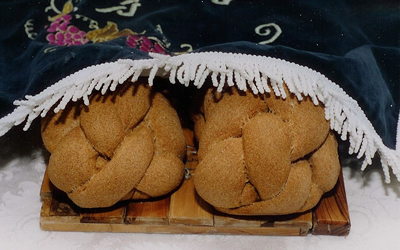 His sister’s tefillos were bound up with Naftali. Miriam’s hand was stiched up but the amazing part is that she was fine throughout. The doctor was actually amazed how she calmly let him give her the shots to numb the area. He said they are generally very painful. As the accident happened at a busy intersection many people said tehillim immediately and texted others to do so as well. Naftali was surrounded by frum Hatzala volunteers and other first responders at the time of his petira. One of the first Hatzala responders was Naftali’s cousin. He immediately knew who to contact and sped to Naftali’s parent’s house to pick up his father. Naftali's father was actually on the phone with his wife who was telling him about the Miriam’s cut hand. When she was told she’d be picked up immediately from work, she first ran out thinking it had to do with the Miriam which acted as a buffer to the real truth. Only after a second phone call did she find out about Naftali’s accident and ran up to get Naftali's wife as well (who works in the same building). The hatzala relative sped them all off to the hospital knowing exactly where to put the car & exactly where to go. The accident happened on Thursday and by the time it came to release the body, the Medical Examiners had already left for the day. Like all other government workers there was little hope of getting them to come back and work after hours. This meant the body would not be released until midday Friday which would mean a delayed livayah and no relatives from Lakewood and Monsey. It would also mean a graveside service without any gathering for tehillim at the Agudah Shul first. With open Hashgacha, the medical examiner agreed to come back at night and complete the procedures needed to release the body. The askan who was dealing with the situation testified that in all his experience he had not come across such a case. If it would have been only the graveside service his wife's family (Kohanim) would not have been able to attend! Over fifty years ago, Naftali’s father-in-law’s parents, Mr. & Mrs. Shaya Grumet, bought 9 burial plots as a chessed in New Montefiore Cemetary. The neighborhood in East Flatbush where they lived was disintegrating & their shul was closing down. 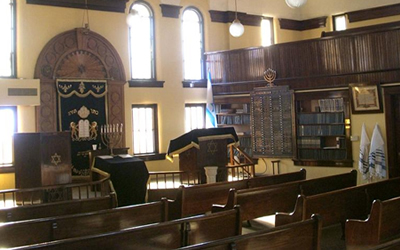 To save the shul from a loss, they purchased 9 plots. After Naftali was niftar, we were deciding where he should be buried, and just then his mother-in-law came in and mentioned the plots. Now Naftali is buried next to his wife’s very chashuva grandpartents. The zeidy was similar in personality, very unassuming but doing many good deeds. Naftali passed away on Rosh Chodesh and no hespaidim were said. This was in perfect correlation with his life of total simplicity and zero kavod. Had he been given the opportunity, he for sure would have requested no hespaidim at his levaya. Naftali was buried on Erev Shabbos. 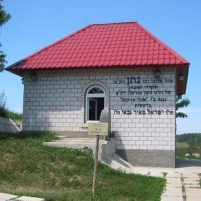 It’s known that many tzadikim had the zechus of being buried on Erev Shabbos since the Neshama is spared a lot of the discomfort generally entailed following a petirah. R’ Shach ZT”L would pray every day to be niftar on Friday, and so it came about that R’ Shach indeed was niftar on Friday. Rabbi Rhodes described his utter joy when he noticed that Naftali was being buried along with 3 large bags of shaimos. Generally, permission is asked of the relatives but this time it was not. How fitting was it for Naftali who dedicated his life to limud and dvekus in Torah to be buried with sefarim for all eternity! Another miracle on the day of the accident: Naftali’s cousin Hershy “happened” to be in Detroit on business for a few hours. Bubby was able to fly into NY with her grandson who had a car parked in the airport. There were predictions of heavy rain on Friday, the day of the levaya. During the levaya there was no rain at all and it did not start raining until the last of the people from the levaya got into their cars. A day after he was buried, Naftali appeared to his wife in a dream. His face was calm and showed complete menuchas hanefesh. This is very rare as most people go through a long period of intense suffering after their death, including but not limited to Kaf Hakeleh, Shviras Hanayim, Chibut Hakever, Malachi Chabalah, Din Hagadol, etc… She also noticed that his hair was wet, signifying that he was pure as he went to the mikva daily. People in the know couldn't believe that Naftali’s body was fully intact after such a major accident. Due to the amazing kindness of Am Yisroel an extremely large amount of people showed up to be menachem avel. Lo and behold a few hours after the Rhodes family got up from shiva the first snow of the season began to fall, wet and slushy. One can only imagine what the house would have been like with hundreds and hundreds of people coming in the house from the snowy muddy outdoors. The Shabbos after shiva was Parshas Vayatzei in which Rachel names Bilha’s son Naftali. The symbol on Naftali’s flag was a deer, Iyala Shlucha. Naftali was also the one who ran to Mitzrayim to get the deed of the Maaras Hamachpala since he was so swift. Indeed as a kid our Naftali ran very fast. He really ran those bases! The Shiloshim falls out on Shabbos Chanuka, Naftali’s birthday is that night, aleph Teves. He was named Mattisyahu due to his Chanuka birthday (7th candle). He exemplified that name. 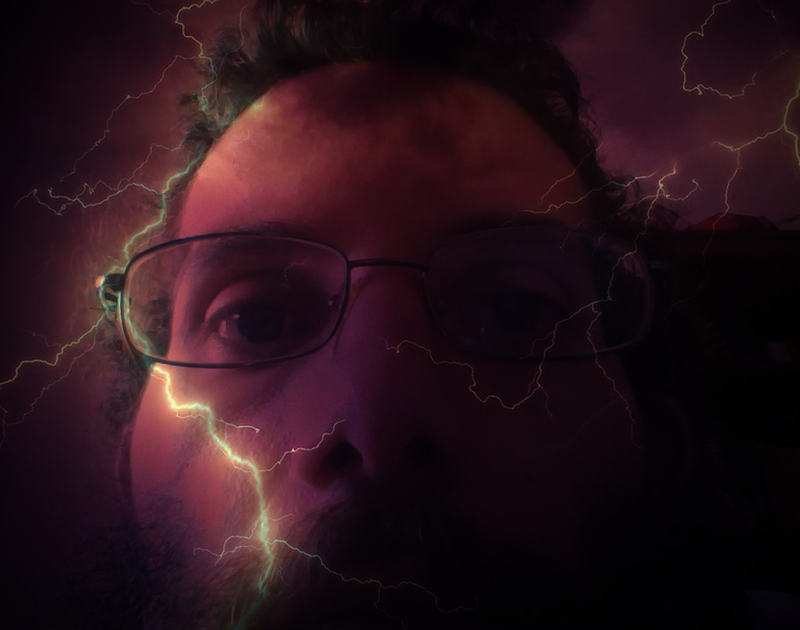 Just as Mattisyahu fought for Hashem, against the tides of the times, so our Mattisyahu tried very hard not to let our toxic environment affect him and always tried to do the ratzon Hashem. He did not care about social norms and what other people would think about him. “Shoftim vshotrim tetain licha bchal sharecha”: Put guards on all your openings – on your eyes, ears & mouth. Naftali was very careful about what he saw, what he heard and what he said. Naftali would never speak or listen to lashon hara. If he even suspected a conversation might lead into lashon hara, Naftali would quietly walk out of room. A friend of Naftali’s was once giving him a ride in his car. In their conversation the friend began talking about a shul in the neighborhood, he right away noticed Naftali’s face cringe and Naftail ceased speaking and just stared out the window. Naftali’s friend realized Naftali was concerned about lashon hara, took the gentle tochachah and immediately changed the course of the conversation. Naftali would always guard his eyes to not look at anything impure. Whenever he went to public places he would remove his glasses and would try to avoid walking in places with inappropriate sights. When he traveled to Eretz Yisroel with his wife and had to navigate through the airport, he was fortunate she was wearing an orange sweater so he could easily follow her orange blur without having to look around. Each summer his family would go to their grandparents in Los Angeles. They had a pool and a television. Even at an early age, Naftali would not look at a single cartoon. Even when the TV was off, he would avoid looking at it when he walked through the room. He did enjoy swimming in their pool. We had a blast swimming with Naftali! Whenever someone asked Naftali a question he would always pause. Often, instead of giving an answer, he would say that he “had to think about it”. This is because he always thought out his words before speaking them from his mouth to consider how they would affect everyone involved. However, when he was talking to a person trying to give him chizuk, he would not pause at all and would carry on lengthy smooth conversations. Naftali would never ever get angry and would never raise his voice. Even when his son would do something wrong he would never yell at him. Instead he would smile and calmly try to fix the situation. His wife would urge him and tell him that to discipline a kid you have to raise your voice sometimes, but Naftali just couldn't bring himself to raise his voice. Naftali would always have a smile on his face. His smile was genuine and filled with warmth. Even when he personally was going through a difficult time, he made sure to smile at everyone around since he did not want it to affect anyone else. Once a rabbi in the community needed some information about a person in regards to a shidduch. Knowing that Naftali knew the individual well, he decided to approach him even though he knew that it would not be easy to get the ‘full story’ out of him. He sat there for a long time circling Naftali with questions from every side and angle to try & pull information out of him using every tactic, but he could not get even a single negative word out of him. Naftali would always speak Torah. Whenever he would talk to other people he would always gear the conversations towards Divrei Torah. 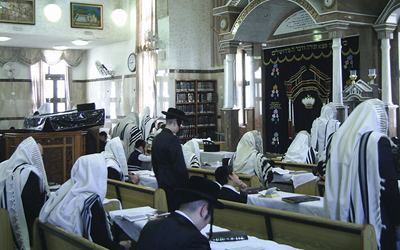 Many avreichim in Rabbi Rand’s Kollel and the Agudah Shul came to the shiva and testified how Naftali would sit for hours on end and learn Torah. 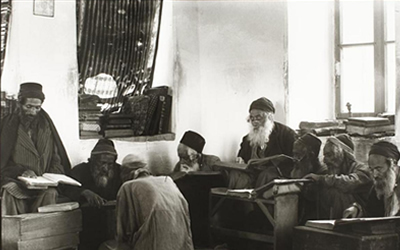 He would open a sefer and then sit for over four hours in the same place just studying. A neighbor that was out of work once approached Naftali to see if he would learn with him. They started learning and continued straight, almost without exception, every single day for the next 13 years. Even when this neighbor was in Eretz Yisroel, he would call Naftali each day to learn and likewise when Naftali traveled to Eretz Yisroel Israel he would do the same. They gobbled up mesachtos and made many siyumim. The neighbor told us many, many times that the learning b’chavrusa gave him very much chiyus and he had endless hakaras hatov to Naftali. He also mentioned that during their learning there was never any divrei batalah, it was strictly pure learning. The neighbor recalls the first time they learned… they sat down at shul and learned for 3 hours straight. The next day they likewise started learning but after 2 ½ hours Naftali apologized and said he had to stop since he felt hungry. The chavrusa realized that both days Naftali hadn’t eaten any breakfast before their learning. His chavrusa recalls that even though according to all opinions it’s ok to make a siyum during the 9 days, Naftali refused to do so. As mentioned there was no wasting time during their learning. His chavrusa recalls how once he tried to bring up a thought about a certain Jewish group, Naftali especially concerned about possibly entering the realm of lashon hara refused to hear what he had to say even though he insisted it wasn’t lashon hara. During a certain point his chavrusa was experiencing intense physical pain. He said that when they learned together he would not experience any of the pain. More than one person said they saw Naftali learn and just plow thru Mishnah Berura or Meshnayis, just halachah after halachah, and they got lots of chizuk just watching him. Many people said they got so much hanaah just watching Naftali in shul pacing and learning, deep in thought. He gave people much comfort just knowing he was there doing what he was doing. Naftali once borrowed the Sefer Hamitzvos by the Chofetz Chaim from his younger brother. When he returned the book around a year later, the brother noticed how the book was worn as if it had been used hundreds of times. Its pages were wrinkled bent and starting to wear out. For a few months prior to his petirah, Naftali would call up many people every week to tell them a Dvar Torah. He would also call his wife’s grandfather, Rabbi Glenn, who had moved to Eretz Yisroel. In fact, after his petira, which happened on a Thursday, Rabbi Glenn was listening to his messages and heard Naftali’s message that he had wanted to tell over his Divar Torah. He had called a day early that week. Naftali’s Bubby was also called on Wednesday that week but also missed his Divar Torah since she was attending a wedding. A brother-in-law of Naftali said that ever since he married into the family he felt Naftali was a hidden tzadik. He had great respect for him and over the years it only grew and grew. 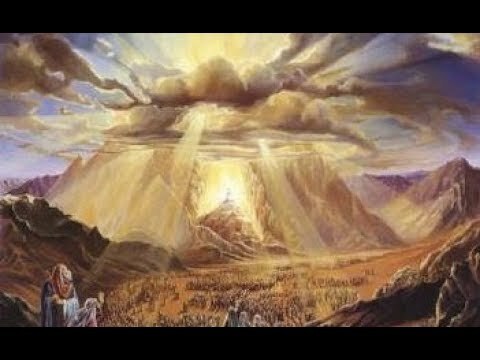 During shiva he heard many people voice the same thing. 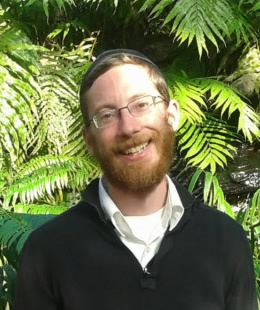 He was described by people as "One of the sweetest people I knew," "One of the straightest people I knew," "A true tzadik," “So pure”, “So humble”. You just had to see him to realize there was something special about him. A Rav that come to shiva said that even the most hardened and cynical people described Naftali as a tzaddik. Everyone who saw him recognized he was special. Naftali was totally removed from this world and hated driving. He failed several driving tests before receiving his driving license. For his own needs he always preferred walking, however for a chesed, he would happily drive as needed. Naftali once saw a sign in shul that the author of the ‘Talelei Oros’ had passed away, leaving a widow and ten children. That Purim Naftali dressed up and went around the neighborhood collecting money door to door for the family. Each year on, before Purim, he would call up the fund to ask if it was still active. 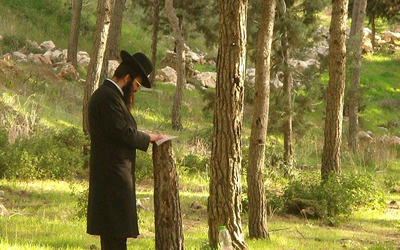 On Purim morning he would study Torah and then go around collecting. He sent an average of $1000 each year. Naftali did not know the family and the family did not know him. During shiva the manager of the fund came all the way from Monsey and said, “I don’t know you, you don’t know me but let me tell you a story.” When he heard about the accident he thought he recognized the name. He checked the old donation envelopes and saw the same address as the shiva. He wanted to let us know about the commitment Naftali kept long after others had forgotten. A family that lived near the Agudah shul had their elderly father living with them. They hired a non-Jewish nursing aide for him. One day Naftali told them, “I want to make you aware that when I was passing by I heard the aide telling your father Christian ideologies.” This aide was quickly fired. While most people would have simply pushed aside and said this was none of their business, Naftali, in his very early 20’s at that time, felt obligated to notify the family. Naftali was very stringent about keeping Halacha and would keep many chumros. Even though he was very machmir he would only do so when it applied to himself and not to others. Naftali would not use the Far Rockaway Eruv on Shabbos even though it is very accepted. Despite this, when his wife could not bring the baby carriage in and out by herself, Naftali would break his ideology and carry the carriage. Right after this, he would continue his policy of not making use of the eruv. Naftali did not care at all about This World and would give little attention to his clothing. Naftali’s wife once sent him to purchase a new coat. He came back with a coat a few sizes large on him. When his wife pointed this out, Naftali could not understand as the coat more or less fit, kept him warm and closed. Our family always joked about Naftali’s shoes, no matter how new the shoes were, after a short while the soles of the shoes would get worn out. He was always on the move walking from one shul to the next and he would often pace back and forth when he learned. His wife said after a while she learned to have Naftali buy 2 pairs of shoes at a time, since he wore them out so quickly. Once Naftali came home from Shul and his pants were a little loose on him.  He had given his belt to a meshulach who needed one. Naftali would hardly eat anything and would keep meals to a minimum. He was very thin and his parents would always be worried about him and would make sure to prepare the few things they knew that he would eat. Knowing that some mishulachim felt embarrassed about getting food and drink from the shul coffee room, Naftali would often prepare a cup of coffee and bring it along with a piece of cake to the various meshulachim, knowing that they were probably hungry. People related how over the years many strange and odd mishulachim and people would come collecting at the shul. While most people would just hand over a dollar and move away, Naftali would always go over to them and inquire in great detail about their lives and what he could do help them. Whenever they needed help with translation, Naftali would sit with them and translate what they needed. Naftali's brother recalls in particular a very intimidating and socially awkward person who collected at the shuls. Naftali would always schmooze with him and bring him food baggies from home. He would even walk to his apartment and learn with him. A certain mishulach would come collecting door to door. Naftali knew that he liked grape juice. When he reached his parent's home, Naftali would always come and offer him cup after cup of grape juice. In Yeshiva there was one bachur who was a little awkward and would like to sing nursery rhymes. This made him a point of ridicule for the rest of the class. Naftali went specifically out of his way in order to become his best friend. Naftali had a way of finding people in need. An older gentleman from Lakewood made a parnasa making airport runs. At times he needed a place to sleep near JFK for very early morning pickups. Needless to say, Naftali brought him home and he slept over on many occasions. Naftali liked to learn on his own but would often learn with individuals whom he felt the learning would give them a lot of chizuk. Although Naftali had no desire to socialize & just schmooze, that is exactly what he did if someone needed friendship. We were told about an older single whose friends were all married and he wasn’t left with much of a chevra anymore. Naftali made sure to speak to him after davening. Another mother recalled how her son who is now married with kids went through a few rough years. Naftali would learn with him & take him collecting with him on Purim. A woman related how when her son heard that Naftali Rhodes had passed away, he burst into uncontrollable crying. Surprised she asked him how he knew him. It came out that Naftali had noticed that he was extremely quiet by nature and did not have much of a social life. He also felt different as he was from a family of gerim. Naftali made sure to come over to him and make him feel important each time he saw him. Naftali used to learn with and befriend a troubled teenager. For a while this boy went to live with his Zeidy in a small out of town city. Naftali would call him every night while he was there. Even after he left, Naftali still called the Zeidy so he wouldn’t feel so lonely. 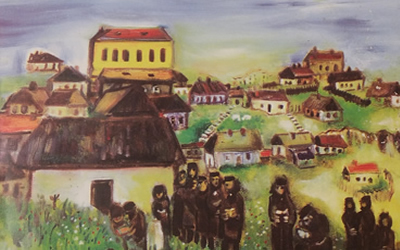 Naftali once spent a long period of time learning with a painter whom he felt needed chizuk. He offered to pay him but Naftali refused as he never took payment for his learning or good deeds. The painter kept on insisting so Naftali came up with a plan. He agreed to have his room at home painted, even though on his end it was much more of a disturbance and a hassle then a favor. In the end he made the painter and his mother happy and that is what made him happy. Naftali’s parents volunteered to drive a young boy with a wheel chair bound mother to school each day. Naftali would often do the driving. One morning when Naftali came to get him, the little boy ran out of the apartment all grumpy. He wasn’t happy that his mother didn’t allow him to wear an inappropriate outfit. After a few minutes they returned to the door, Naftali explaining that they came back because the child had forgotten something very important. The little boy quickly gave his mother a huge hug & kiss goodbye. Another time the mother recalled how she was bringing her son to a friend a few houses down. He was sitting on her lap in the wheel chair, strapped into her seat belt. He suddenly popped open the belt and ran down the block. Naftali had just returned home & heard her cry for help. He quickly caught the kid, brought him to the friend’s house & told the mother to please call him when it was time to go home and he would gladly go to get him. Additionally this babysitter said that whenever it rained, Naftail would roll the stroller back and forth a bunch of times over the mat in front of the door to make sure the wheels were dry in order not to track any mud into her house. A man mentioned that for a while he had a chavrusa with Naftali each Sunday where they would learn 3 Mishnayos which took around 30 min. Once he told Naftali a chassidish vort. He felt like Naftali soaked it up and a few days later Naftali came over to him and told him how much he appreciated the vort. When Naftali was engaged, his father received an unmarked envelope in the mail. It contained a cashier check for $5,000. It had no name, no address and no signature but included a letter saying that the giver sees Naftali learning in shul and is so impressed that he wants to have the zechus to be a part of his wedding. Each Friday morning Naftali would come early to the Agudah shul and prepare all the tables with Shabbos tablecloths. Even after he had a child, the baby went to a Friday babysitter so Naftali could continue his special practice. Naftali would always eat the Shabbos night meal by his in-laws. 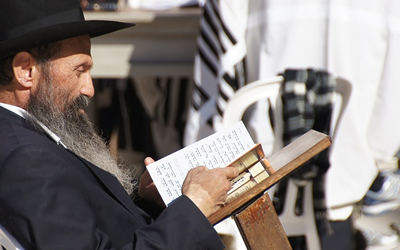 His brother-in-law testified how each week when he would come back from shul and enter the house, he would find Naftali sitting and learning with a sefer. When this brother-in-law got married and moved out of town, he took all his sefarim with him but made sure to leave his set of pocket Mishna Brurah for Naftali since he knew that he used them. When Naftali learned in Eretz Yisroel, he staying with his brother Binyamin for a few months. Binyamin recalls how he refused to eat any of the nuts and dried fruit, because he was concerned of Terumah and Maaser, regardless of the Hechsher. This was so for a very long time, even though he especially loved salted nuts from Eretz Yisroel. Eventually when he learned the laws of separating the Terumah and Masser himself, only then did he start eating them. His wife also recalled that when they visited Eretz Yisroel, if Naftali wasn’t a hundred percent certain that Terumah and Masser was taken off properly, he would do so and discreetly put it in his pocket to dispose of later. 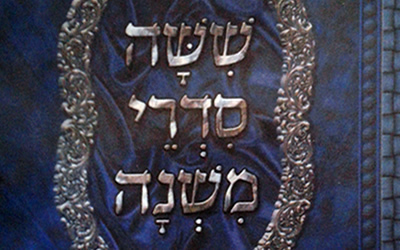 Naftali would always recite his brachos slowly and with great kavana. His brother, Binyamin, recalls how Naftali would always pause after saying Hashem’s name in every bracha. Naftali never left the Shabbos table without thanking the hostess “for the excellent meal“ whether it was his mother, mother-in-law or wife. When Naftali was learning at the Yeshiva Gedolah of the 5 Towns a fellow who collected bottles would frequently come mincha time to collect tzedakah. Naftali took him aside and taught him the aleph beis. Later on avreichim noted that this fellow began answering Yehei Shemei Rabah out loud with everyone else and would sometimes daven Ashrei from a siddur while he waited around. A classmate from elementary school noted that Naftali was a #5 baseball player, in other words, a backup power hitter. He said Naftali was very good at baseball. He was a very good student and was a good talmid. He was gentle and sweet and would never hurt a fly. A neighbor of Naftali's mentioned that every single day without fail he would look out his window at 6:15am and he would see Naftali stepping out of his front door. A yungerman in Rabbi Rand's kollel Avreichim noted how he knew that it was exactly 12:30pm when Naftali would walk into the beis medrash, since he would arrive that time every day like clockwork. Naftali's grandmother recalls that as a bachur he always wrote her beautiful stories or meshalim on divrei torah. They had a theme interwoven in a story in an almost poetic way using beautiful expressions. He was an excellent writer. She still has a whole stack of his writings. After his marriage he would still write some letters. She also recalls that at a certain point he started calling her each week on the phone with a short vort which she very much looked forward to. He was always so thoughtful and wanting to please. The first thing he did when he met a friend or when his grandfather Z'L came was to ask if he wanted to learn. 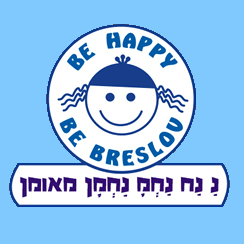 As a young boy and teenager Naftali would help with many chores every erev yomtov such as peeling potatoes, throwing out the garbage etc.. with zrizus and a smile. He always tried to make other people happy. He was always a vatran, always giving in. Naftali had a special kesher with his neighbors the legendary, Mr. and Mrs. Soffer Z"L from Far Rockaway. Shortly before Mr. Soffer’s petirah, Naftali and his younger brother went to visit him in the hospital. In the room with Mr. Soffer and seeing him in so much pain, Naftali's brother felt at a loss as to what to say to comfort Mr. Soffer. After a few moments of silence Naftali piped up with a small dvar torah and beautiful words of comfort. Naftali's brother was shocked at how he was able to say just the right thing that touched Mr. Soffer's heart even in such a painful time. When Mr. Soffer was niftar Naftali wrote a beautiful heartfelt letter of comfort and chizuk to Mrs. Soffer. It was so dear to her that she kept it with her. After Mrs. Soffer's petirah her daughter held on to the letter and brought it to the shiva to show Naftali's family. Aside from the letter to Mrs. Soffer, he also wrote one to his Bubby after his Zeidy was niftar and also to a neighbor that lost a teenage son. Participating in the levaya and shiva was not enough, he wanted to leave them with words of nechama and chizuk on how the niftar actually touched his life. When Naftali was learning in the Yeshiva Gedola of the 5 Towns he found out that there was an elderly couple living next door to the Yeshiva. Each day during the break, Naftali would visit them; helping them out and making them feel good. Once Naftali heard that the USA government was issuing certifications of recognition to veterans. Knowing that the elderly man had served as a US soldier during WWII, he contacted the government office and requested a recognition certificate for the man. When he received it he brought it over to the man, whose face shone from happiness for a long time after knowing that the USA government had recognized him for his service for the country. Each Friday Naftali would circle throughout the entire house and cover each and every light switch in the house, so no one would accidently turn on the light on Shabbos. People mentioned how often they would see Naftali walking in the street with his lips moving. They assumed he was learning, davening or doing hisbodedus. One of the cousins recalled how he had come to the Rhodes house with his family when he was a little kid. While all his older siblings quickly found friends and ways to entertain themselves, he sat all alone in the corner ignored by everyone. Suddenly he was approached by Naftali who took him aside and started talking to him. When Naftali’s down syndrome cousin found out about his petira. He was very distraught and cried that he lost his favorite cousin. At one point while in Eretz Yisroel, Naftali caught pneumonia. B'H after about 2 weeks he started to improve. His younger brother, being a big fan of healthy eating, tried convincing him to replace his daily breakfast of a sugar yogurt and piece of cake with healthy food. Having a stubborn streak he wouldn't hear of it. After a few days he approached his brother saying he thought about it and agrees. He asked what he should eat. His brother tried to think of something simple and easy that a single guy without much cooking experience could prepare himself. He showed him how to boil some peeled potatoes and sweet potatoes. For the next month of his remaining stay in Israel that's practically all he ate! Cooked vegetables. He would make a big pot of cooked vegetables every few days, refrigerate it and for every meal take out his container of cooked vegetables, eat it cold and then put the container back in the fridge. As a young boy Naftali would always say his brachos out loud so people could answer amen. Being completely uninvolved in worldly things, Naftali finally got his first cell phone after his marriage, due to his wife’s wishes. Even then he often forgot to turn it on and most family members knew not to bother calling it. A friend of one of Naftali’s siblings recalls that when eating over as a kid, Naftali would always shower early in the day, to get ready right away and rush off to shul to learn. In addition this friend always felt that Naftali showered early in order not to use up the hot water later in the day when everyone showered right after each other. A friend of one of Naftali’s siblings recalls that Naftali would always sit at his father’s left at the shabbos seudah, he would be quite for most of the meal and in middle of the main course would pipe up and ask his father if he could say a dvar torah, and only then he would say a little vort. A friend of one of Naftali’s siblings once needed a chavrusa for 2.5 weeks during summer break, so he thought to himself, “Hey why don’t I ask Naftali Rhodes?” Naftali agreed right away. This friend asked Naftali what he wanted to learn. He replied whatever you want! The couple that served as a kvatter for their second child had a baby exactly 9 months later! A classmate of Naftali’s in elementary school who lived nearby needed surgery during the school year. The Yeshiva arranged a video camera in the room so the boy could view the classes from his home while he recovered, but only on condition that one of his fellow classmates would stay with him during the classes. A fellow classmate went the first day, however after that Naftali was the one who volunteered, coming over his friend's house consistently every other day for the duration of the time. A neighbor of Naftali’s tragically lost a son whom Naftali used to learn with. After this loss Naftali would discuss some divrei Torah with this neighbor each Motzoi Shabbos after the Maariv Minyan. The neighbor told Naftali’s family during shiva that only now he realizes why Naftali made this effort. Knowing that Naftali learned with his son and was such a dear friend, when Naftali discussed some Torah with him, each time it would remind him of his son and make him feel good. A chavrusa of Naftali recalls how one purim he gave him mishloach manos. He could tell Naftali went himself to the store to carefully choose the 2 items he wanted to give him, and He gave it to him with such feeling and kavanah to do the mitzvah properly. 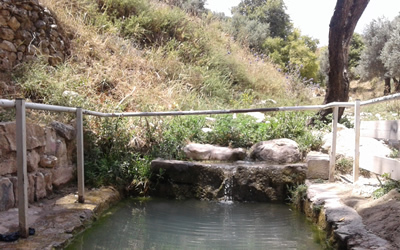 A fellow who came to shiva told Naftali’s brother that he knew Naftali from his daily mikveh visit. 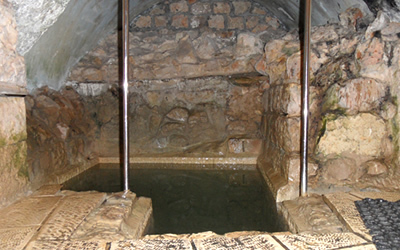 Naftali’s brother was surprised since he thought Naftali only went to the mikveh on Fridays. At a certain point he started going daily, and his brother had not known. Once Naftali’s mother’s first cousin, who lived alone hurt her knee very badly and had to spend time in the hospital. Naftali called her initially to see how she was. He then called her again while she was in the hospital to review any of the applicable halachos that were relevant to her having to stay in the hospital. 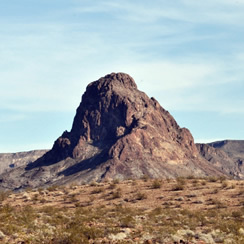 He called several times to stay updated, and offer her guidance and chizuk. Even after she was discharged, Naftali followed up to see how her healing process was going. The same relative recalls how she would see him learning late into the night when she was over for a visit. Naftali never differentiated between religious or non-religious Jews, from this group or that group, to him he only saw their neshamos and felt connected to everyone. Naftali would help his wife out tremendously at home. He helped with the laundry and would wash dishes. He would also babysit for many hours and would learn at home. His wife said his morning seder was sacred, but after that he was always available to help her. Naftali would compliment his wife every single day on how nicely she looked. He had absolutely no sense of style but would make sure to notice something different or new and would take the time to vary the complement such as, "-------- looks very nice on you." When Naftali's wife spoke to him at home he would listen attentively as if every little thing she said was the most important thing in his life. Many people even if they push themselves to listen to their wives have a hard time being completely present. Naftali would listen as long as she needed to speak and showed he truly cared. A brother recalls how Naftali would eat very little on erev Shabbos and have no mizonos after chatzos. Once Naftali and his younger brother Binyamin were davening at the kotel together, both in their late 20's and looking to get married. Suddenly Naftali approached his brother and with a smile said very genuinely, "Binyamin you daven for me and I'll daven for you." He agreed and they davened with heartfelt prayers. 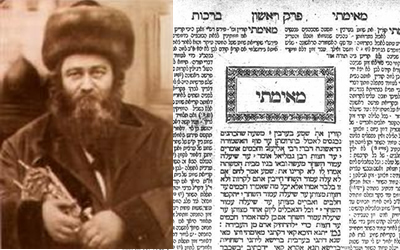 B"H within the year they were both zocheh to get married, 2 months apart from each other. While in Yerushalayim, Naftali & his younger brother davened at the kosel on Yom Kippur. As soon as Yom Kippur was over everyone's main objective is to find the closest ragulech. At the kotel they have several large tables set up with cartons and cartons of free danishes, knishes and drinks to cater to the few thousand people there. Naftali and his brother approached one of the tables where a man was making havdala for everyone. After havdala while munching on his rugelech, Naftali's brother noticed he wasn't eating. “Nu, Naftali why don't you eat?” “Well.. you know..etc,...” finally he admitted that he didn't feel comfortable since he wasn't sure if the fellow making havdala properly had kavanah to be motzie everyone. So they made their 30 min walk back to their apartment. It was well over an hour, after the fast, that Naftali finally got hold of some grape juice to make his own havdala. The wait didn't seem to phase him. A brother recalls that when acquaintances would find out that Naftali was his brother often their response would be, "You mean that guy's your brother, the one always walking to shul!?" or "The one who's always learning in the back of shul!?" Naftali didn't exactly fit into our generation, being completely uninterested in the things most people are involved in. Even after mp3 format and I-phones were commonly used Naftali would listen to music and shiurim from his tape cassettes that he grew up with. Naftali's mother mentioned that when Naftali lived at home prior to his marriage their two dishwashers were never left full. Naftali would always clear them as soon as he saw they were clean. Naftali's sister recalls how when she was much younger, he was the one that usually volunteered to walk her to her friend’s house on a less friendly, non-Jewish block. Naftali always had a Dvar Torah under his belt. You could ask him anytime for a vort and he would have one. They would usually be short and sweet but crystal clear. His delivery was eloquent. 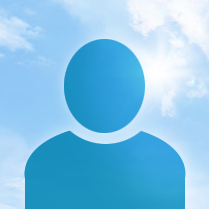 Naftali would greet people very warmly and radiate a genuine happiness and excitement to see them. His whole essence would light up and he would give the warmest biggest smile. To please his wife he never refused or even complained about wearing a silly costume on Purim that he would normally never consider wearing. He agreed to whatever costume she chose just to make her happy. 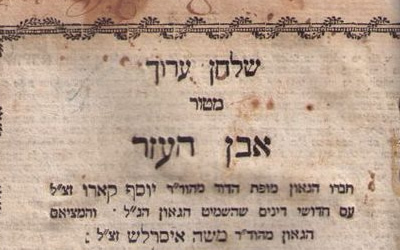 Yaakov, Naftali’s brother-in-law noticed that he often gave a dvar torah on “Vayakum Melech Chadash.” Naftali one time admitted to him that he had a notebook with a hundred interpretations on this psuk. One of the smaller shtiebels in town sometimes had a hard time making a minyan on Friday night, Mincha and Maariv on Shabbos. Naftali would go totally out of his way each Shabbos 2 to 3 times to daven specifically there to insure they had a minyan. Naftali always had his hair cut by a friend. He never went to an ordinary barber since he was afraid they might cut off part of his payos. A neighbor recalled that Naftali agreed to babysit for her boys a few time once they got a bit too old for girls to come. Needless to say, without pay. A relative recalled how Naftali would always be one of the first to knock on her door to wish mazel tov when she had a kiddush, vort or sholam zachor at her house. When he picked up his son from playgroup he would often comment to the teacher (who happened to be his sister!) on the cute projects & how his wife will love them. When he noticed a neighbor struggling while building his succah, he quickly went to help him. He continued to help him each year after that. When he was a bit younger he’d carry around gedolim pictures to give out as little prizes to the kids playing outside that he would often pass while walking. When he got married he decorated his dining room with pictures of gedolim pictures. This is where he spent a lot of time learning. Naftali had a great love for Eretz Yisroel. He would often tell his brother living in Israel how lucky he was and how grateful he should be. He would half joke and declare how jealous he was of him. If the right opportunity would have arisen, Naftali would have moved to Eretz Yisroel in an instant. As much as he loved Eretz Yisroel, he was always bitul to Hashem's ratzon and accepted his lot belev shalem. An elderly neighbor’s daughters always brought their father to and from shul. If they were ever late to pick him up Naftali was already on the way walking him home. Naftali always said that learning on Shabbos earned you more schar. Whenever he’d awake on Shabbos, no matter how early, he’d begin learning right away. Naftali never complained even if he wasn’t feeling well. Even as a young boy when he had braces put on & some kind of expander he wouldn’t complain even though it had to be quite painful. After their first child was born, Naftali’s wife, Tzippy, ordered thank you cards with the baby’s picture on it. When Naftali saw them, he was uncomfortable sending them out. They didn’t go to waste though, Tzippy would find little notes written by the baby such as, “Thank you Mommy for taking such good care of me and Tatty” signed by their new baby. 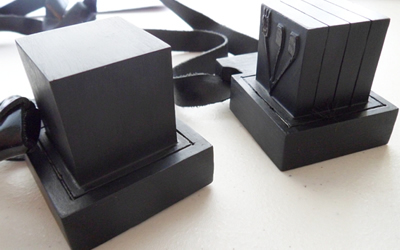 Naftali exemplified simplicity. A perfect example was his shidduch. He married the first girl he dated at the age of 28. His match was made between the two mothers and his wife grew up one block away. They got married yet another block over at the White Shul. After the wedding he and his wife happily walked straight from the White Shul to yet another block over to their apartment. Naftali veered away from complexities. He always stayed pashut and refrained from getting involved in deep hashkafah debates. A brother recalls complaining to Naftali about certain actions that were considered ok in the frum world, proving to Naftali how it really wasn't appropriate. Naftali listened but his response was simple and brief. His demeanor and unspoken words however said a lot more, giving off the message of, "Why get involved in such things, just be simple and focus on your own personal tafkid in life!" Naftali would always do Avodas Hashem with complete simplicity. Whenever he would hear of something good that would help him in Avodas Hashem from the various sefarim he would start doing it right then and there. When Nafatali came to his brother, Binyamin, in Eretz Yisroel, he was introduced to Hisbodedus, the act of talking directly to Hashem in your own words each day, expounded on by Rebbe Nachman of Breslov. Seeing the direct benefit of this, Naftali began to practice Hisbodedus each day and continued for the rest of his life. Everything Naftali did was with pshitas and temimus. Whenever he would learn something he would like to apply it right away. While Naftali was in Israel, staying at his brother’s 'bachur dira' he would come in every erev shabbos with a shopping bag filled with nosh and junk food in honor of Shabbos. Over Shabbos he would eat a handful of it and every motzei Shabbos the guys in the dira knew to ask for his nosh bag and would polish it off! Naftali's brother said knowing Naftali he must have just learned about the chashivus of oneg shabbos and was inspired to apply it right away. A few times his older brother approached Naftali and tried convincing him to change his methods of Avodah to ones based on Kabbalah and Chasidus that could help him reach higher levels. Naftali would push all this aside and continue to serve Hashem with complete simplicity. He had no ambitions of reaching higher levels or becoming a huge Talmid Chacham. He would study and pray because that was his purpose in the world. It seems Naftali was able to sense that something was going to happen, a fellow noted that in Bostoner shul the 2 days before his petirah, he was singing mishnayos out loud which was completely unusual for him, he had never seen him do that before. It rung in his head later in the day and recalled it was very unusual. Naftali's sister noted he was also learning in a loud voice at home which he never did. 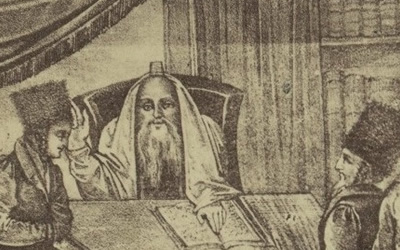 Additionally in Rabbi Rand's kollel avraichim testified that Naftali was rapidly running through page after page after page of mishna brurah in at an extremely fast pace as if he was preparing for a big test on the entire sefer in the very near future. He was noted by another as seeming unusually serious at the mikveh and when learning. A friend of Naftali's brothers in Israel who lives in Israel said that around the time of the accident he felt something was terribly wrong and just couldn't place it. Only after did he find out the news about Naftali. An old classmate of Naftali's related the following story. He lives nearby and when watching his kids he often takes them on walks around the Agudah area. At the approximate time of the levaya his little son randomly insisted that he wants to go to the Agudah. So they head out... on the way the son again randomly piped up and said, "Abba, I feel better now." This was exactly the time when the levaya ended, yet the son had no idea about the levaya. Naftali would often learn in the Bostoner Beis Medresh. After his passing the non-Jewish cleaning lady came over to the Rebbetzin and asked if she could deduct $50 from her salary and give it to the family. Why? Naftali treated her like a person and always asked her permission to sit and learn if she was cleaning. She was very impressed by his good middos. When she needed to clean the front of the Beis Medrash, he would move to the back. When she needed to clean the back, he would move to the front. Even a goy was able to see there was something special and holy about him. She was very sad by his passing and wanted to contribute to the family. Additionally, a woman who works in Yeshiva Darchei Torah where Victor also works, said she asked him on Thursday how he was doing and he answered that he was very sad. She asked him why. He said, "Did you hear about the accident? Naftali was my friend". He explained Naftali would help him every Friday set the table cloths as well as help him prepare and clean up for brisim and other simchos. The last dvar Torah one of Naftali’s brothers remembers hearing from Naftali was unusually forthcoming of what was soon to occur. 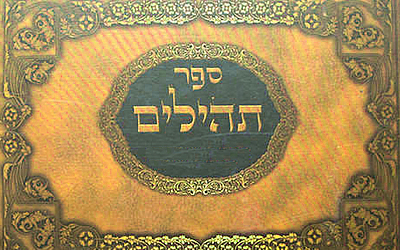 The question is asked, why by Sarah Imeinu and Avraham Avinu's petirah does the Torah include the word "Chayei" Life. It could have simply said these were the days they lived? The answer he gave was that the Torah is teaching us the well known idea that even though Tzadikim are niftar, they are still very much alive even after their petirah. Naftali related this vort about a week before his own petirah. After shiva a mishulach called from Eretz Yisroel. He was very distressed about the news since Naftali was always such a help to him when ever he came into NY. 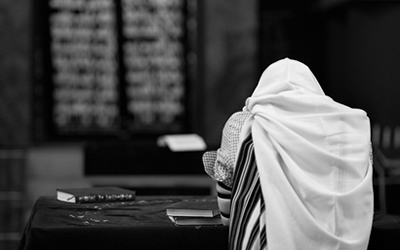 Naftali’s uncle called before shloshim to tell about his most unusual learning experience. He had signed up to learn the Mishna of Challa, liluy nishamas Naftali. He said that he learned that mishnayis 5 or 6 times b’iyun in the past, sometimes with excellent chavrusas. He could not believe what happened this time when he learned it. All of his questions were answered and all his difficulties were clarified. He felt as if Naftali was standing next to his shoulder and explaining everything clearly to him.